Heat oven to 325°F. On rack in shallow roasting pan, place ham. Insert meat thermometer in thickest part of ham. Bake uncovered 1 hour 30 minutes or until thermometer reads 135°F to 140°F. Meanwhile, in small bowl, mix remaining ingredients. Brush glaze over ham during last 45 minutes of baking. 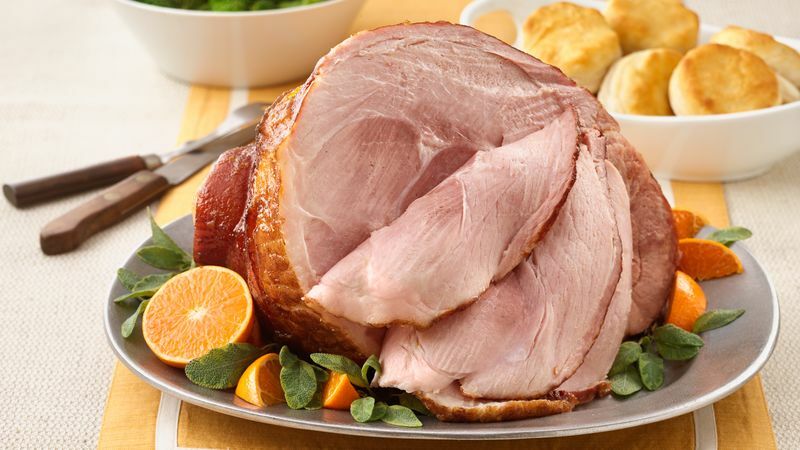 Remove ham from oven; cover with tent of foil and let stand 10 to 15 minutes for easier carving. If you have leftover ham, freeze it for future soups, salads or sandwiches. Stored in an airtight container, frozen ham will keep up to two months.